Photo via VelvetTangerine, Flickr CC. Reprinted from Beggruen Insights, Issue 4, with permission. Nostalgia often arises out of a real experience of loss. It needs to be addressed and redirected, not ridiculed or denounced. And that applies to the nostalgia that motivates a considerable number of Trump supporters. I have spent most of my career pointing out the dangers of imagining a Golden Age in the past that we should try to recapture. Nostalgia offers a warped explanation of what actually did work in the past and airbrushes out what did not. It leads to the scapegoating of those who supposedly ruined “the good old days” while providing no tools for coping with the new realities that underlie contemporary challenges. That said, nostalgia often arises out of a real experience of loss. It needs to be addressed and redirected, not ridiculed or denounced. And that applies to the nostalgia that motivates so many Trump supporters. True, the Trump campaign has mobilized the crudest alliance of racists, nativists, misogynists, and “know-nothings” that America has seen in any national election since before World War II. Winning over most of his supporters is probably impossible. Half of those who voted for Trump in the primaries favor a return to “traditional” gender roles; and although ethnocentrism is widespread among white voters of most persuasions, it is especially strong among Trump backers. But many have been deeply wronged by the system that Trump claims to attack and understandably infuriated by how politicians on both sides of the political spectrum have ignored their needs. Their grievances are real and we should not ignore their pain in our distress at their misdirected anger.Their grievances are real and we should not ignore their pain in our distress at their misdirected anger. Take the strong support Trump enjoys among older white voters without a college degree. Moderates and liberals often write such people off as a lost cause, counting on African-Americans, college graduates, and young millennials to outvote them. According to Conventional Wisdom, African-Americans and Latinos ensured Obama’s victory in the last presidential election. That some of these same voters have now turned to Trump says as much about the failure of liberalism as about the strength of racism. In recent years politicians have belatedly discovered the issues of income inequality and job insecurity. But the housing bubble, financial meltdown, and Great Recession of the past decade were merely symptoms, not causes, of an economic, political and technological upheaval that started more than 40 years ago, overturning the arrangements that governed relations between capital and labor during the postwar era. The “turbo-capitalism” that emerged from that upheaval has created unprecedented opportunities and new sources of wealth for individuals with the professional credentials, personal flexibility, or financial resources to take advantage of them. But it has progressively dismantled the workplace compacts, business practices, and regulatory frameworks that for the previous 30 years had protected the job security and wage gains of workers and sustained stable middle class communities.That some of the Obama voters have now turned to Trump says as much about the failure of liberalism as about the strength of racism. To effectively combat the racism that Donald Trump plays upon, we need to understand that white blue-collar workers only began to achieve economic advancement and social respect in the aftermath of the New Deal and World War II. For centuries, white manual laborers and manufacturing workers had been looked down upon –- and held down — by American elites. While white workers were encouraged to think of themselves as better than Blacks, Native Americans, and Latinos, and given significant advantages over them, they were nonetheless disparaged by white elites, and their attempts to improve their own wages and working conditions were routinely met with violence by employers and silence by politicians. Only after the political reorganization triggered by the New Deal and the economic boom following World War II were white blue-collar workers finally able to claim a share of the American dream. This was largely a result of the growth of the previously-persecuted labor movement as well as of the government’s enforcement of new limits on corporate prerogatives. That white workers came late to the American dream made it all the more precious to them and was a factor in their mistrust of the social protests of the 1960s. From 1947 to the 1970s, blue-collar wages rose in tandem with productivity, reinforcing faith in the work ethic. In that era, each cohort of 25-to-29 year-old men earned, on average, 3 times as much in constant dollars as their fathers had at the same age. 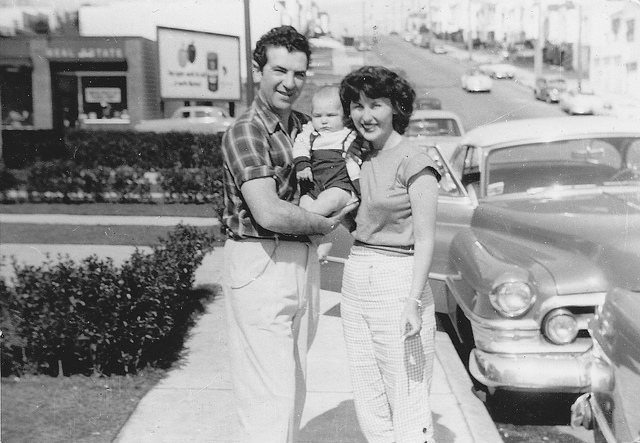 Only after the political reorganization triggered by the New Deal and the economic boom following World War II were white blue-collar workers finally able to claim a share of the American dream. To be sure, some of these gains for white male workers rested on the privileges they were accorded over racial minorities and women. Women’s real wages scarcely budged in the 1950s and 1960s, and until the late 1960s, racial discrimination in hiring and pay was legal and widespread. Blacks and Latinos were initially excluded from many of the unions that protected workers’ seniority and job security. Moreover, the postwar boom in home ownership for white working-class families was accomplished through federal policies that provided low-cost mortgages in white neighborhoods while “redlining” areas populated by racial minorities. Minority families were clustered in disadvantaged areas with low housing values, greatly hampering their future ability to get ahead even after formal segregation ended. But for the most part, the gains made by white working-class men in this era came not from their unfair leverage over minorities and women, but from their greater bargaining power vis-a-vis capital. With the implementation of new civil rights legislation, minorities and women were also able to benefit from increases in social welfare protections and wages, although they remained substantially behind white men. Blacks’ poverty rates fell significantly in the 1960s, and their real wages rose. White women’s real wages did not start to rise until the late 1960s and early 1970s. Until then, white women could typically only participate in the rising prosperity through marriage. Although the gains of the postwar era were not evenly divided among workers, in comparison to today’s income trends they look fairly impressive. In every economic expansion that occurred between 1949 and 1969, at least two-thirds of the income growth went to the bottom 90 percent of the population, with just 20 to 30 percent going to the top earners. Although the gains of the postwar era were not evenly divided among workers, in comparison to today’s income trends they look fairly impressive. Despite ongoing inequality in that era, especially for minorities and women, there were real limits on the perks and leverage of the top 10 percent. Unions had greater clout and could offer more benefits than before or since. And with 30 percent of workers in unions, even non-union workers benefited from the shadow that cast over employer-employee relations. Corporations and banks, facing more restrictions on their freedom of movement and disposal of assets, tended to practice what William Lazonick calls a “retain and reinvest” approach, eschewing short-term cost-cutting in favor of retaining and rewarding a reliable workforce. And CEOs were typically paid only 30 times as much as the average worker in their companies, in contrast to the 300 times as much they make today. The rich also had fewer ways of buying political influence, since the First Amendment’s Freedom of Speech protections were then interpreted to protect individuals’ right to speak their mind, not corporations’ right to spend as much as they liked to influence the outcomes of policy debates. The Supreme Court ruled in favor of business interests just 42 percent of the time, compared to more than 60 percent of the time under Chief Justice Roberts. In the 1950s and 1960s, taxes on corporations and wealthy individuals were much higher than today, and government used those taxes to fund giant job-creating infrastructure projects, including the Interstate Highway Building Program. The postwar limits on the autonomy of capital began to be abrogated during the Carter administration of the 1970s, a process that accelerated under Reagan in the 1980s. Deindustrialization, job exporting, and technological change wiped out the economic and social base of many traditional working-class communities. Campaigns against unions and government regulations mounted. Barriers to out-sourcing, sub-contracting, and the hiring of part-time and temporary “contractors” were overturned. More recently the spread of on-demand industries such as Uber and Airbnb has offered new conveniences to consumers and a chance for many individuals to earn extra money but further reduced the availability of secure jobs with predicable hours and regulated working conditions.The same jobs now pay less, offer fewer benefits, and are more likely to be temporary or part-time than in the past. The postwar limits on the autonomy of capital began to be abrogated during the Carter administration of the 1970s, a process that accelerated under Reagan in the 1980s. Deindustrialization, job exporting, and technological change wiped out the economic and social base of many traditional working-class communities. Campaigns against unions and government regulations mounted. Barriers to out-sourcing, sub-contracting, and the hiring of part-time and temporary “contractors” were overturned. More recently the spread of on-demand industries such as Uber and Airbnb has offered new conveniences to consumers and a chance for many individuals to earn extra money but further reduced the availability of secure jobs with predicable hours and regulated working conditions. The result has been a dramatic turn-around in the fortunes of workers without advanced degrees. Since 1980, the average 25-to 29 year-old man has earned less than his father did at the same age. This isn’t solely the result of lost manufacturing jobs. The same jobs now pay less, offer fewer benefits, and are more likely to be temporary or part-time than in the past. For example, between 1947 and 1979, the wages of the average meatpacking worker, adjusted for inflation, increased by around 80 percent, to just under $40,000 per year. But from 1979 to 2012, the average meatpacker’s wage declined by nearly 30 percent, to about $27,000. Other contributors to the loss of workers’ bargaining power over the past four decades include the shrinking real value of the minimum wage, the passage of trade deals favoring international manufacturers and merchants over local producers, and the privatization of many state and local government functions that can be turned into profit-making enterprises through cost-cutting that hurts workers and often endangers the public. Exacerbating these problems has been the growing size and profitability of the financial sector, and its lack of accountability. Historian Colin Gordon reports that the growth and unrestricted operation of the financial sector accounts for up to half the decline in labor’s share of national income since 1970. Indeed, the greed of hedge-fund managers makes most CEOs look like pikers. Although corporate CEO pay has risen by 997 percent since 1978, the top 25 hedge fund managers now take home more money than all the top 500 corporate CEOs combined. Even families that would once have been considered comfortably well off, with secure jobs and wage prospects, have been hurt by this massive sea-change in American work practices and reward systems. Since 1982 the share of national income going to the wealthiest 10 percent has soared, while the share of the bottom 90 percent has steadily shrunk. In fact, between 2009 and 2012 the wealthiest 10 percent actually captured more than 100 percent of all income growth, a feat made possible because the incomes of the bottom 90 percent of households fell. Even families that would once have been considered comfortably well off, with secure jobs and wage prospects, have been hurt by this sea-change in American work practices and reward systems. In this context, we should recognize that there are reasons people in precarious circumstances may resent immigration –- reasons entirely different from but also vulnerable to racist lies about crime and violence. In some areas illegal immigration does displace the least-educated native workers. It can also create tensions in neighborhoods that are experiencing cutbacks in public investment even as educational resources and other community amenities multiply in the increasingly isolated enclaves of the very rich. As economist John Schmitt points out, our current immigration policies benefit some employers by pitting US-born low-wage workers, who have few protections, against foreign-born low-wage workers who have even fewer. Rather than a wall, we need to construct labor standards that ensure decent pay and working conditions for all workers regardless of national origin. Contrary to the rants of racists, what has crushed the dreams of so many blue-collar families over the past 40 years is not the increased access of minorities, immigrants, and women to jobs but the decreased access of all working people to steady jobs, living wages, and reliable public services. Unfortunately, when legitimate grievances are denied and dismissed for too long by political and economic elites, people become increasingly vulnerable to rogue members of those elites, such as Donald Trump, who offer them illegitimate targets for their disappointment and growing rage. And such denial has been going on for far too long by most politicians and pundits on both sides of the political spectrum.When legitimate grievances are denied and dismissed for too long by political and economic elites, people become increasingly vulnerable to rogue members of those elites, such as Donald Trump, who offer them illegitimate targets for their disappointment and growing rage. No wonder so many Americans are ready for something other than pious optimism. The novelist Eric Ambler once commented that in a sick civilization, “political prestige is the reward not of the shrewdest diagnostician but of the man with the best bedside manner.” That’s certainly been the calculation of most mainstream politicians over the years. Donald Trump has discovered there is now a political payoff to being the angriest diagnostician. And many Americans find his rage refreshing even as they freely admit that many of his prescriptions won’t work. Scary or off-putting as Trump’s reality politics show is to many Americans, not all of his appeal can be attributed to racism or misogyny. Rather, people who recognize how little bargaining power they have in today’s economy are attracted to a man who supposedly knows “the art of the deal,” admits they’ve been getting a bad one, and promises to get them a better one even if he has to cheat and intimidate to do so. As one of his female supporters told a reporter, he’s the bully you’d like to see beat up the people who have bullied you.Scary or off-putting as Trump’s reality politics show is to many Americans, not all of his appeal can be attributed to racism or misogyny. People who want to defeat Trump should not give an inch to the racism, sexism, and nativism he incites. But they do need to demonstrate the same indignation about how the system is working, which is one reason Bernie Sanders has so far polled better against Trump than Hillary Clinton. I’m not advocating a class war against the rich. But I do think a little class anger on behalf of the bottom 90 percent –- the ENTIRE 90 percent, mind you –- is overdue. 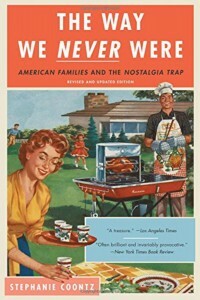 Stephanie Coontz teaches history at the Evergreen State College and wrote the newly revised The Way We Never Were: American Families and the Nostalgia Trap. She is Director of Research and Public Education at the Council on Contemporary Families.